We are excited to announce the re-launch of MyRetrospect.com on March 1, 2019. It will be under new management, but still the same Retrospect you have come to know and love (we hope!) over the last several years. All three of us have written stories for Retrospect. Suzy and Marian have been involved since the beta testing days, while Laurie joined us more recently. We all felt bereft when we learned that it would be shutting down. We decided that we wanted to keep Retrospect going, because of all the wonderful stories already gathered on the site, and all the new ones waiting to be written. Now that we are starting up again after a two-month hiatus, we hope you will be inspired to write stories, read each other’s stories, and comment on stories. We think that what makes Retrospect so much better than our own blogs is sharing common experiences with others of our generation, and appreciating each other’s experiences through comments. The first prompt will be, appropriately, New Beginnings, and we hope you will begin writing on that topic now. The stories will go live on Friday, March 1, which is also the date that new people can start signing up for the site. So, tell your friends. The only difference you will notice is that new prompts will go live on Saturdays instead of Mondays. That way, we hope that people can enjoy reading and commenting on stories over the weekend, which may be a more relaxed time for those of us who are not yet retired. We’re thrilled and grateful that Suzy, Marian, and Laurie felt so strongly about telling our stories that they’ve taken MyRetrospect.com under their wings. We’re confident that our labor of love will thrive and grow in their care, and we look forward to seeing this next phase in its evolution. See you on the site! They say all good things must come to an end and, sadly, that includes MyRetrospect.com. Retrospect Media, Inc. will cease operations as of December 31, 2018. It has been our joy and privilege to host your stories—more than 900 of them—on MyRetrospect.com. But even beyond sharing these slices of our lives, it has been a marvel to see a true community develop here. Many of us have never met yet we actually care about each other. We know meaningful details of each other’s lives, families, and histories, and have vicariously experienced each other’s triumphs and sorrows. Each time you have clicked Publish on a story, it’s taken courage to put yourself out there. The Internet is not always a friendly place to do that, and yet you’ve done it, time and again, because we all have a need to be heard. And each time you have responded to others’ stories with a Like or positive comment, you have validated that need. It’s been an honor to provide a safe place for you to do this, and for this community to grow. Ever since our alpha site went live on September 4, 2015, MyRetrospect.com has been a labor of love for us. Yet life has a way of telling us it’s time to move on. Many of the stories on this site recall the time when we felt like we had all the time in the world, but as baby boomers we no longer have that luxury, and in fact we never did. This will help us create space in our lives to fulfill our remaining goals and dreams. We’ll keep the Retrospect website live until the end of February 2019 so that others can read the stories that are already here. However, we will not post new prompts or accept new stories after December 31, 2018. We know your stories are precious. If you want to print or save them onto your computer, go to your profile and click the new button labeled Print My Stories. Retrospect will compile up to ten of your stories onto a web page. Use your browser’s File > Print command to print them or save them in a PDF file. If you have more than ten, just repeat the process. See our help page for further details. As we said on our About page, we are a storytelling species. It is through stories that we remember, learn, and make sense of our world and, ultimately, our lives. Take care. We wish you long life, good health, and memorable stories. Baby boomers’ most admired employers. Source: Morning Consult. Which companies would you be proud to work for? Market research firm Morning Consult recently asked over 220,000 Americans that question, and the results can tell us a lot about how different generations view the world of work. First, there was substantial overlap between baby boomers (born 1946–64) and other generations. Amazon, Walt Disney, Apple, Google, and Microsoft appeared among the top ten employers for all three demographics (boomers, Gen X, and millennials). Boomers ranked Amazon #1, while both the other generations ranked it #3. Google nabbed the top ranking for millennials and Gen Xers, while for boomers it was #7. Where boomers differed was the inclusion of heavy industrial manufacturers in the list. Harley-Davidson, Lockheed Martin, Boeing, and John Deere all made our top ten, and Caterpillar followed closely at #11. 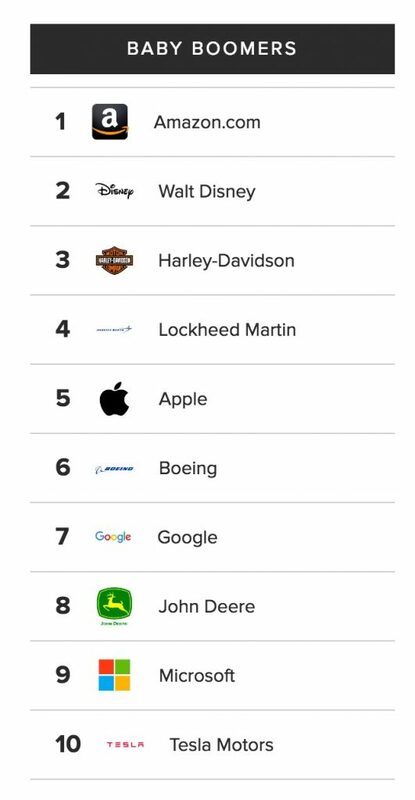 None of these companies made the millennials’ top 10, and only Harley and Deere cracked the Gen X list. Analyzing the results, Morning Consult turned to University of Puget Sound researcher Leon Grunberg, who said that boomers are “more tied to the past” when industrial products made by Boeing and Caterpillar were bulwarks of the economy. He also noted that these companies represented a “social welfare” model, in which bigger manufacturers would hire workers for life and provide them with a decent standard of living. “You’d give lifelong loyalty to a company and in return you got security for your life.” He added that that social contract has disintegrated since the 1980s. Vote for your own most admired employer on our home page this week. Retrospect, the new, free website that helps baby boomers capture and pass on their stories, has attracted a vibrant and committed community of storytellers. We recently caught up with Suzy, a retired attorney from Sacramento, who told us why she has become a Retrospect fan and regular contributor. Retrospect: Suzy, thanks for talking to us today. Why don’t you start by telling us a little about yourself? Suzy: I was born and raised in New Jersey, went to Radcliffe College and the University of California, Davis, School of Law. I practiced law for 30 years in Sacramento, and then retired at age 55. I have a husband and three grown children. Retrospect: The Internet is a big place. Why spend your time on Retrospect? 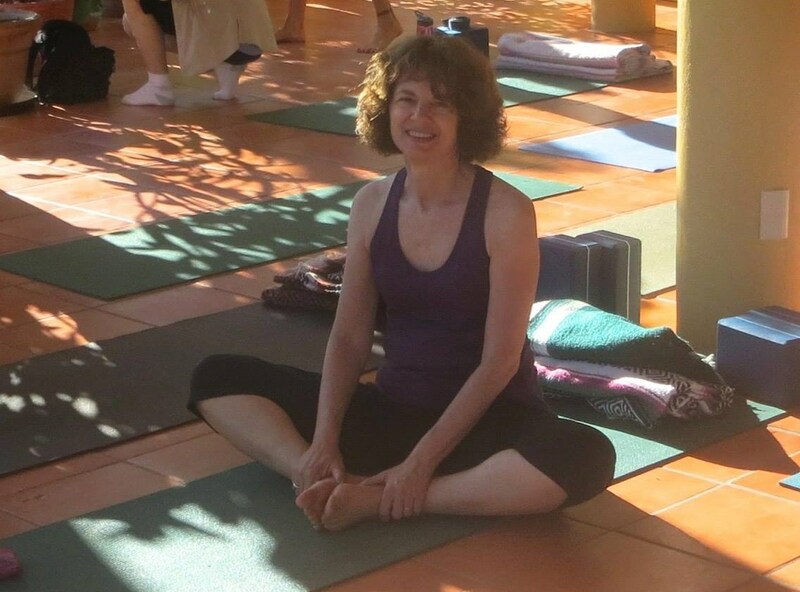 Suzy: As a baby boomer, now retired and an empty nester, I have lots of activities to fill my time, but none as rewarding as writing for Retrospect. Retrospect changed my life. Retrospect: That’s high praise! How did it do that? Suzy: One way is that it introduced me to a community of writers who have become valued friends. Another is that by writing every week I have become a better writer. A third is that it has inspired me to delve into many experiences from my past that I might never have remembered if it had not been for a Retrospect prompt. Retrospect: Why do you want to tell your stories now? Suzy: I feel that it is important for me to write down these memories, because even though my children are not interested now, I think they will be some day, and by then I may not remember, or may not even be around. I wish my parents and grandparents had had a place like this to share their memories. Retrospect: What do you like about it? Suzy: I have rediscovered the joy of writing for its own sake, which I had when I was a teenager, and then lost after years when I wrote because I had to, for college, graduate school, and a long professional career. Now I am excited to sit down and write a new story for Retrospect. Retrospect: How does Retrospect inspire your writing? Suzy: Being given a prompt every week gives me a focus to write about. Although people are also welcome to write on any topic they choose, I’m not creative enough to come up with my own topics. As I mentioned, the prompts they provide almost always trigger important memories for me. Retrospect: What is your experience with the Retrospect community? Suzy: Getting comments on my stories from the other writers at Retrospect is part of my incentive for writing. It is always so satisfying to read what they have to say about what I have written. On three different occasions, my story has led another author to write a story in response to mine, which is also extremely gratifying. Retrospect: One story that particularly moved us was This Story is Not About Cooking, in which you reported that you shared some of your Retrospect stories with your mother in her final days. Of the stories you have posted on Retrospect, which is your favorite? Suzy: Asking me which is my favorite story is like asking me which of my children is my favorite! I don’t think I can pick one. But if I had to choose a couple that would give people a taste of Retrospect, I would pick one I wrote about my grandparents (Those Were the Days, My Friend) and one about singing at Tanglewood when I was in college (To Sing in Perfect Harmony). I read both of those to my mother when she was ill, and she loved them, so of course that makes them special to me. Our thanks to Suzy for sharing her experience, and for being a valued member of the Retrospect community. What’s your story? Share it on Retrospect. 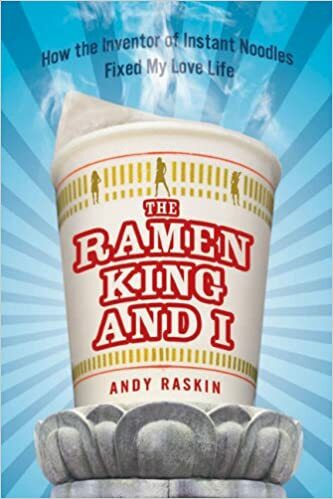 Writer and memoirist Andy Raskin has been preaching the gospel of story to corporations for years. In a recent essay, he proposed a storytelling guideline, called the Stinky Cow Principle, that is equally applicable to personal stories on Retrospect. He cites the example of a student in a storytelling workshop who, asked how he came to his profession, said simply, “I was trying to make it in the film business. But it wasn’t working out.” But when Andy asked him to describe the moment he knew it wasn’t working out, the student painted a verbal picture involving the Discovery Channel, a van, and a dead, putrid cow that brought the moment to life. Tell incidents as scenes, not as summaries. That’s good advice for all stories, not just corporate ones. You can read Andy’s essay, and the student’s Stinky Cow story, on Medium. Write on! What if there was a pill you could take—or better yet, an exercise you could do—that could make you healthier, feel happier, sleep better, and improve your memory? What if you only had to take or do it four times, for 20 minutes each, and the effects would last for months or even years? The exercise is real—I’ll tell you about in a minute—but first let me tell you how it was discovered and validated scientifically. Back in the late ‘70s and early ‘80s, James W. Pennebaker, now a research psychologist at the University of Texas, was investigating traumatic experiences, which have long been associated with illness, depression, and even premature death. Pennebaker was intrigued by data showing that people who had experienced childhood trauma, but kept it secret, visited their physicians almost 40% more often that those who had confided in someone else. Pennebaker wondered whether writing about a trauma would be as beneficial as telling someone about it. In his first study of what he later called expressive writing, he brought 50 college students into his lab and asked them to write for 15 minutes on four consecutive days. What they wrote was up to them, but he asked them to explore their deepest thoughts and feelings about traumatic or stressful experiences in their lives. After each writing session, they could give what they wrote to the experimenters, keep it, or destroy it, as they chose. With the subjects’ permission, the experimenters’ tracked their visits to physicians both before and after the study. Those in the expressive writing group made 43% fewer doctor visits for illness than those in a control group that wrote only about superficial topics. In one study, middle-aged men who had just lost long-term, high-tech jobs were asked to write about their deepest emotions and thoughts about the layoffs. Eight months later, 52% of these men had found new jobs, compared with only 20% of a control group who had written about how they used their time. Interestingly, both groups went to the same number of job interviews, but the men who wrote were more likely to be offered the job. In expressive writing, says Pennebaker, it’s important to be honest and open with yourself. Acknowledge both positive and negative emotions, and write as if no one else will ever see it. You can be literal about this, by destroying your writing afterwards or locking it away. Later, if you decide to share it, you can choose with whom and how. Finally, follow what he calls the flip-out rule: If you feel that you will flip out by writing about a particularly painful topic, write about something else. Despite the benefits, it’s not easy to do expressive writing, and especially to do it regularly. The blank page can be intimidating. In today’s busy world, it’s hard to find the time, let alone the discipline, to sit down and write. And writing about traumas and setbacks can be at least temporarily depressing. That’s why two colleagues and I created this free website—MyRetrospect.com—designed to help our fellow baby boomers tell our stories. Each week we post a prompt—a suggested topic designed to evoke memories and feelings. Typical prompts are “Grandparents,” “Camp,” and “The Ones We Miss.” We invite our community to write short, true stories in response to the prompt. Of course, not every prompt will suggest a story to you, let alone a traumatic event. That’s fine. We designed Retrospect to make it easy to capture all of your stories, both triumphs and setbacks. If you don’t have a story to tell about a particular prompt, write about another topic, or skip that week. One principle of expressive writing is to write for yourself only, being honest about your feelings. We support that, and you are welcome to keep your stories private, or to share them only with family and friends. When appropriate, however, we encourage you to share them with the whole community, who are also sharing stories on the same prompt. That’s where the magic happens. Together, all the stories on the site form a mosaic of our shared experiences. You’ll find the community friendly and supportive. We set community standards and take them seriously. We designed MyRetrospect.com to feel like you’ve joined a lively dinner party of old friends and amiable strangers, where amid tasty food and flowing wine the conversation turns to young love or old TV shows or lessons learned, and everyone chimes in with their best story. 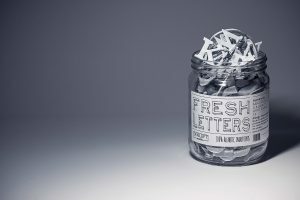 On MyRetrospect.com, writing skill or style isn’t required. What matters is telling your story authentically as it happened to you, in your own words and in your own voice. All of us can do that. Retrospect members report great personal satisfaction in telling our stories on the site, amplified by positive feedback you get from friends, family, and the community. (One even told us, “Retrospect changed my life!”) But our stories are also a priceless gift we can give to our children and grandchildren. If that seems unlikely, imagine if today you somehow received a booklet of stories from your grandparents, relating key moments and experiences from their lives. What a treasure that would be. 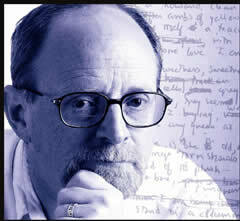 John Unger Zussman is a PhD psychologist, a creative and corporate storyteller, and a co-founder of Retrospect Media. Special thanks to James W. Pennebaker for conducting the revelatory and important research summarized here. As a majority woman-owned business, Retrospect supports International Women’s Day and this year’s Day Without a Woman. With this week’s prompt, Women’s Lib, we are proud to host important personal stories about birth control and abortion rights, women in healthcare, gender-busting an engineering crew, and more. Consciousness raising has long been built on women telling their stories to each other. We invite you to tell your stories, today or any day, on Retrospect. Which one are you in this song? Do you remember details of the past or just the broad strokes? Are you easily reminded of things long forgotten, or do you struggle to recall your history? It’s time to tell our stories, and it’s not just because our memories are fading. Our stories are also a gift we can give to our children and grandchildren, our families and friends. Don’t you wish your grandparents and parents had told more of their stories before it was too late? If you somehow discovered a book of your grandparents’ recollections and memories, wouldn’t you treasure it? So now is the time for baby boomers to tell our stories, and Retrospect is the way to do it. We offer a weekly prompt to focus your thoughts, and a supportive community, sharing their own memories, to help jog yours. So think back and share forward … on Retrospect. Remember still the way you do. * Written by Alan Jay Lerner & Frederick Loewe. Copyright © Warner/Chappell Music, Inc.
You’ve led such an interesting life, everyone tells you. You should write a memoir! And you have to agree. You’ve had a lifetime of extraordinary experiences. So go ahead. Write a memoir. Put your life together, sum it all up. Give it to your kids and grandkids. Maybe you’ve even sat down at the computer or with pen and paper. You may have taken notes, jotted down a few sentences. I was born, you start. My parents met. But the page or screen stares back like an accusation. It doesn’t flow. It seems like a slog. A friend with whom I sometimes walk has been writing his memoirs for several years, since his wife passed away. How is it coming, I asked him recently. Pretty good, he says. Probably a year to go. I look back at him. That’s what he told me six months ago. He turns 98 this month, karma willing. I hope he makes it—for his son’s sake as well as his own. But the blank page intimidates us all. So I’m going to propose a radical suggestion. Stop. Give up. Don’t write your memoirs. You know, the ones you regale people with at parties or over dinner. The ones people laugh at or shed a tear over and then tell you again that you should write a memoir. The ones your kids, when they were kids, clamored for you to repeat. Tell us how you and Daddy met. Tell us about Grandma. Tell us about when we were born. Memoirs are hard, but stories are easy. We tell them all the time. And over time, as stories accumulate, one by one, they begin to encompass your life. They become, well, a sort of memoir. That’s why two colleagues and I created Retrospect, the free website (whose blog you’re now reading) dedicated to helping people tell their stories. Each week we post a prompt—a suggested topic designed to evoke memories and feelings. Typical prompts might be “Grandparents,” “Halloween,” or “First Day of School.” We invite our community to write short, true stories in response to the prompt. You are welcome to keep your stories private, or to share them only with family and friends. We encourage you, however, to share with the whole community, who are also sharing stories on the same prompt. That’s where the magic happens. Together, all the stories on the site form a mosaic of our shared experiences. You’ll find the community friendly and supportive. We set community standards and take them seriously. We designed Retrospect to feel like you’ve joined a lively dinner party of old friends and amiable strangers, where amid tasty food and flowing wine the conversation turns to young love or old TV shows or lessons learned, and everyone chimes in with their best story. And, as at a dinner party, writing skill or style isn’t required. What matters is telling your story authentically as it happened to you, in your own words and in your own voice. All of us can do that. There’s a personal satisfaction to telling your stories on Retrospect, amplified by positive feedback you get from friends, family, and the community. Research shows that writing down your stories can benefit your health and wellbeing. But it’s also a priceless gift you can give to your children and grandchildren. If that seems unlikely, imagine if today you somehow received a booklet of stories from your grandparents, relating key moments and experiences from their lives. What a treasure that would be. 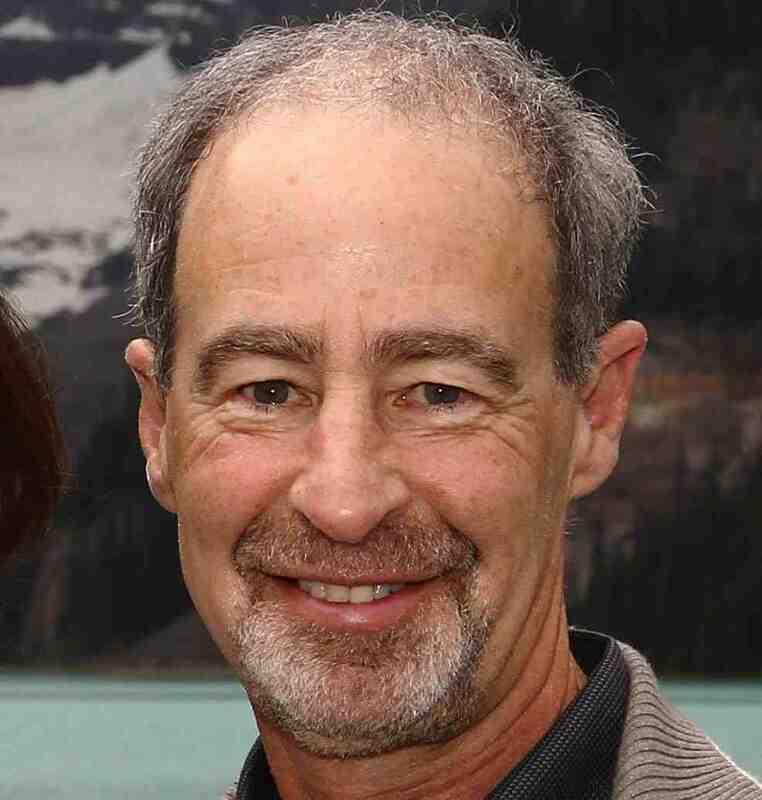 John Unger Zussman is a psychologist, a creative and corporate storyteller, and a co-founder of Retrospect.